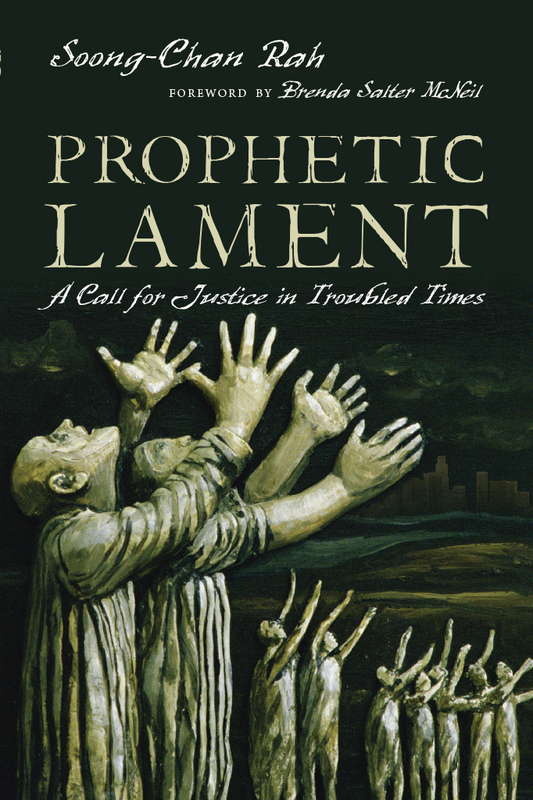 Prophetic Lament, A Call for Justice in Troubled Times by Soong-Chan Rah. IVP Books, 2015. After a lengthy (1300 word) book review on Friday, I’ll try to keep this one brief. This book is a biblical commentary on the Old Testament book of Lamentations. I recommend it. It brings a much needed counterbalance to the typical American Christian paradigm of triumph, success, and positivity – which does not allow space for lament. In fact, lament may even sound undesirable and strange…perhaps even anti-Christian. Christians are suppose to be hopeful, full of joy, and praise God. Yet there is lament in various parts of the Bible – not just in Lamentations. This book is different than your typical commentary. It does have standard fare: explaining the historical setting of Lamentations, commentary on verses, and academic information. But this is weaved in as the author talks about “troubled times” in modern American – particularly involving racial injustice and the plight of the inner city. The book was written not long after the events of Ferguson, Mo and is written somewhat through the lens of those events. The author has the experience of inner city church work. There is much to lament in modern America – recent mass shootings come to my mind – but can we lament? We hardly know how to do it. There was a connection with my own book. Rah reviews and critiques the narrative of positivity, triumph and success that took over American church culture in the 20th century…leaving no space for lament. Lament can be misunderstood. I had a post in January entitled: Is lament pessimism? Is lament devoid of hope? – No to those things! Rah states that lament in the Bible is a liturgical response to the reality of suffering. It engages God in the context of pain. We can’t deny reality. The honesty of lament should not result in escapism or bitterness, but in a beneficial engagement with life and God. We should not stay forever in lament, but it is a needed step as we deal with troubling times. The middle of the book of Lamentations breaks out in praise to God. Perhaps you recognize these verses from Lamentations 3:22-23? Songs have been based on them. Maybe you didn’t even know those verses were from Lamentations, and in the middle of a lament? In the LXX (Septuagint), the book is actually called Wailings. God brought calamity, but God will also restore – as He is faithful. A commentary on Lamentations may sound like a downer, and goes against our inclinations to always be positive – and that is precisely why you should read it! I frequently found myself highlighting content in the book. It was challenging, convicting, and informative. I am a person of privilege, and needed to hear certain things. We can separate ourselves from certain societal injustices, but we still play a part in indirect ways, and we need to admit this fact. Genuine lament is a “good” place to be. Rah points out that historically, revival or renewal movements arose out of a deep humility about our need before God. One of the many paradoxes of Christianity is that the way up is down. Yet most modern day attempts at revival are nothing like this, and instead rely on consumeristic techniques or magic formulas. My only small critique is that Rah was a bit repetitive at times. It is good to reiterate key points, but I felt he did it too much. Prophetic Lament contains a much-needed message for American Christians, but it is so different from the standard fare of positivity that I doubt it will get the audience it deserves. Go against the flow – read it. And at the risk of being too self-serving, my book too! → If you found this review helpful, consider sharing it. Click below. Thanks! Thanks for the review! Looks very good.